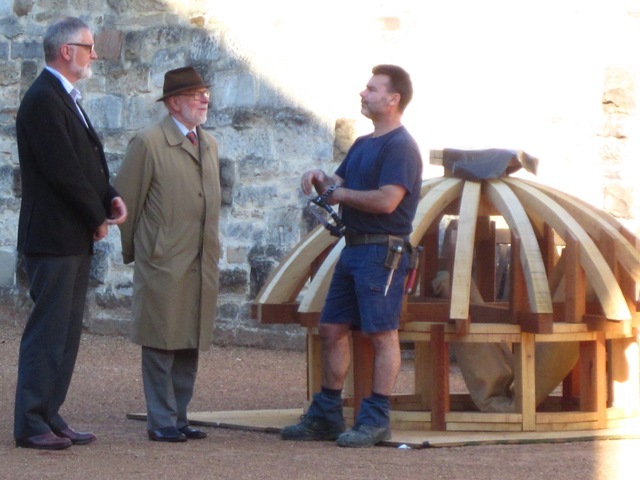 Scott Carlin talks thorough the installation of the 2nd dome onto the southern guardhouse of the Hyde Park Barracks. Great article in today’s Sydney Morning Herald helped kickstart our fund raising campaign. It also raised a few interesting points about architects and their inspiration and the likelihood that Francis Greenway, Barracks designer and convicted forger, ‘lifted’ his idea of the domes from an array of late 18th century building catalogues and off-the-peg plans. For more information on the campaign and how you might contribute to this restoration project visit the Foundation for the Historic Houses Trust or contact General Manager James Beck on 02 8239 2255. 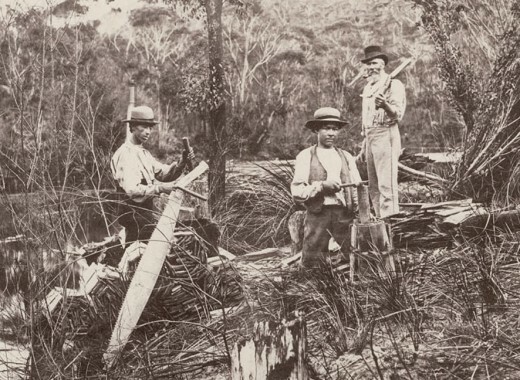 Archaeologists working on the guardhouses in the early 1980s discovered bits and pieces of timber from the original dome structure. These had been hidden in the ceiling area and protected from the weather under a corrugated metal roof. 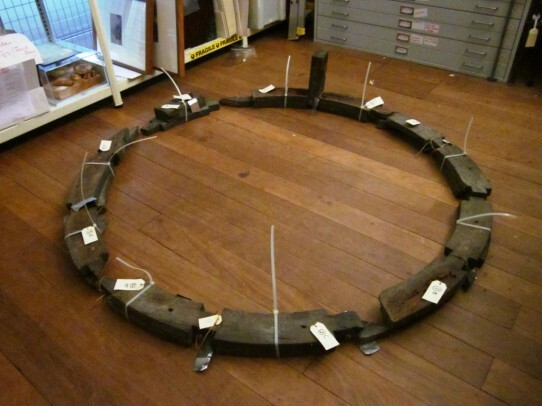 We’ve had fun reassembling these components and can now make out the shape of the circular base plate. We can also see how a series of short, slotted studs were fitted to carry a matching timber circle above. 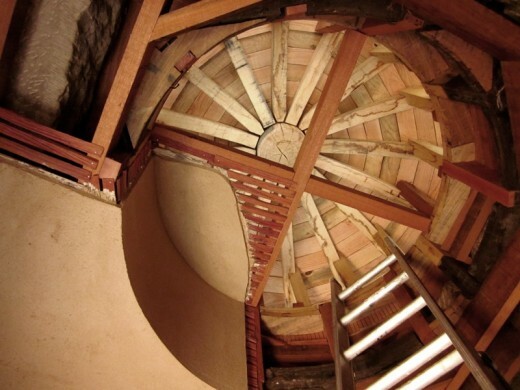 The whole structure looked like a flattened drum, rising up through a big hole in the roof. On top of this drum sat the lovely shingled dome. 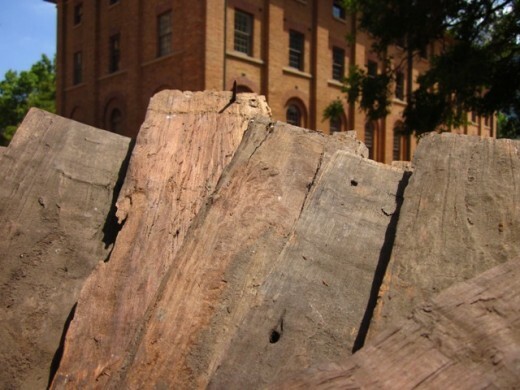 Stay tuned for more info on this intriguing discovery and how we intend to incorporate these original timber pieces into the new structure. Over the next few months we’ll be recording and discussing this exciting conservation project – the reconstruction by the Historic Houses Trust of the twin domes of the Hyde Park Barracks guardhouses, decorative elements intrinsic to the original design for the complex by architect Francis Greenway, completed in 1819. 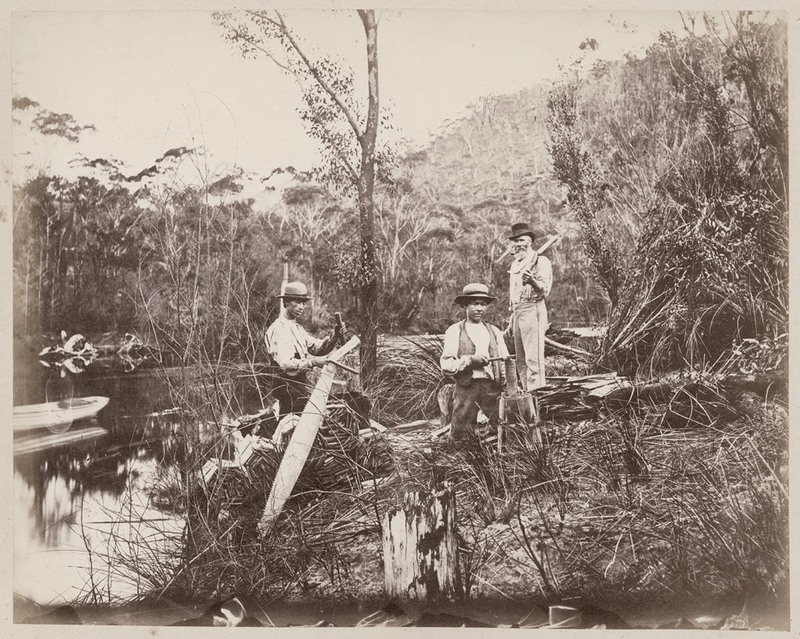 This project is commencing during Macquarie 2010, commemorating the 200th anniversary of the arrival of Governor Lachlan Macquarie in the then colony of NSW, and follows the listing of the Barracks as a World Heritage Site. On either side of the Barracks central gateway the two guardhouses were originally roofed with stone slabs, through which rose domes of timber ribs braced with narrow battens and with a covering of split casuarina shingles. The surviving dome over the present Barracks Café was a larger version of these. Of a similar size the small dome atop the central barracks building functions as a ventilator, and there are thoughts that these domes may have had a similar role. The two guardhouse domes were removed in the mid 1850s, the beginning of a long series of alterations, additions and demolition work that saw the removal in 1918 of the south-western corner pavilion and the entire southern range. With loud calls for the entire complex to be torn down it’s remarkable that the Barracks survived at all. Apart from these aesthetic losses the removal of the domes and subsequent conservation work has led to ongoing conservation issues, most significantly involving the deterioration of the fabric of the two guardhouse structures. 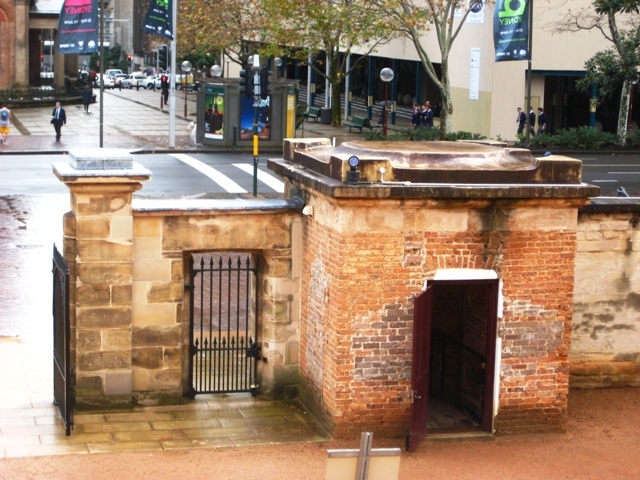 Fibreglass weatherproofing installed in the 1980s has exacerbated the issue, trapping moisture within the surviving building fabric and causing deterioration of the original convict-built stonework. 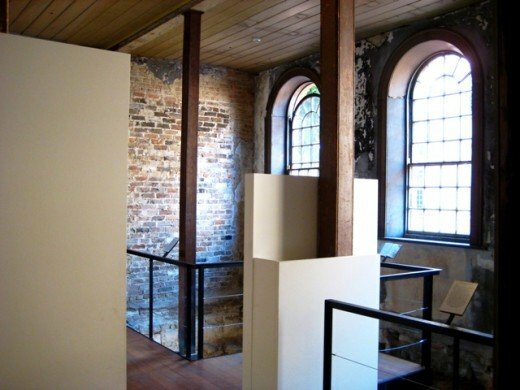 Conservation work is now essential, and this has provided the HHT with the rare opportunity to recreate a feature of Francis Greenway’s most significant surviving building. 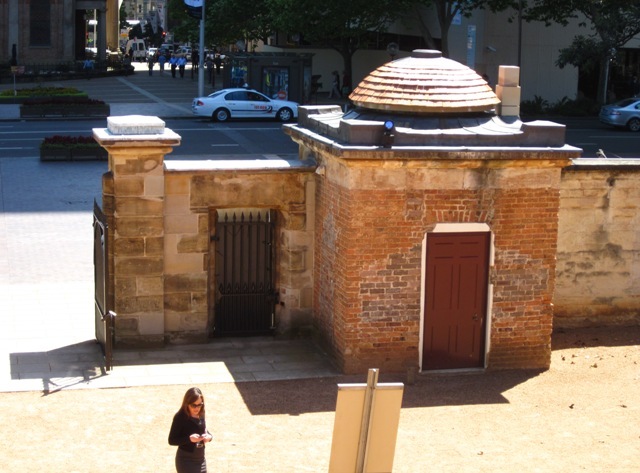 The reconstruction of the domes over the Hyde Park Barracks’ twin guardhouses follows the Barracks’ inclusion on the UNESCO World Heritage list. Architect, Francis Greenway’s domes (built in 1819 and removed in the early 1860s) formed part of Governor Macquarie’s suite public buildings ornamenting Sydney’s ‘dress circle’ and later street of Government. 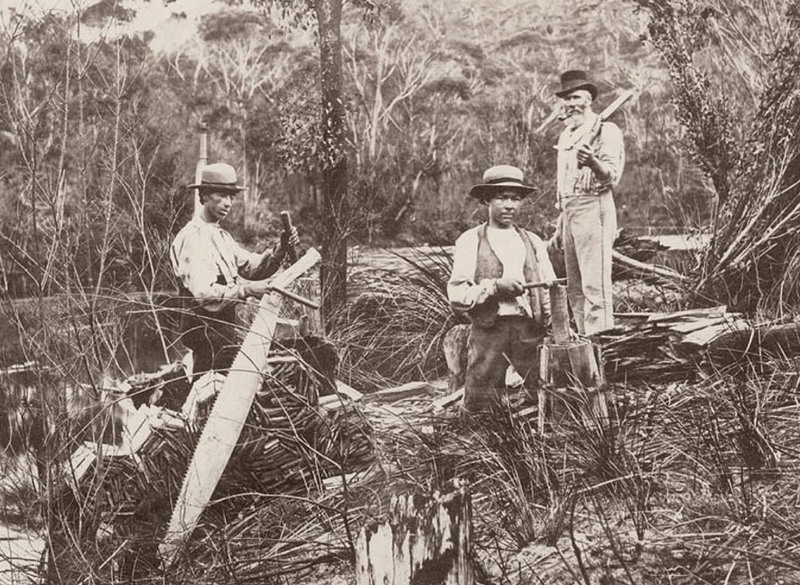 Through re-instating the domes the Historic Houses Trust seeks to interpret Macquarie’s vision. Hyde Park Barracks Domes Restoration Project is powered by	WordPress 4.7.13 and delivered to you in 0.528 seconds using 50 queries.